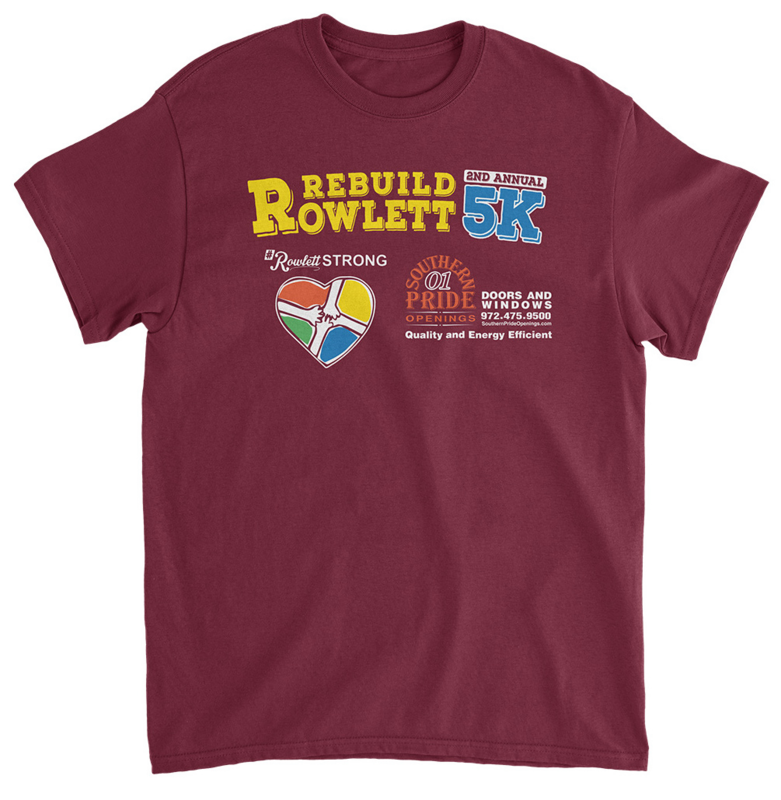 Here’s a look at the Rebuild Rowlett 5K v2.0 official t-shirt! The only way you can get it is to register for Saturday’s 5K which will start bright & early in front of the Rowlett Chamber of Commerce building. Click here to register.